MHS students Corey Burkhart and Elizabeth Tranel participate in State Science Fair of Iowa. 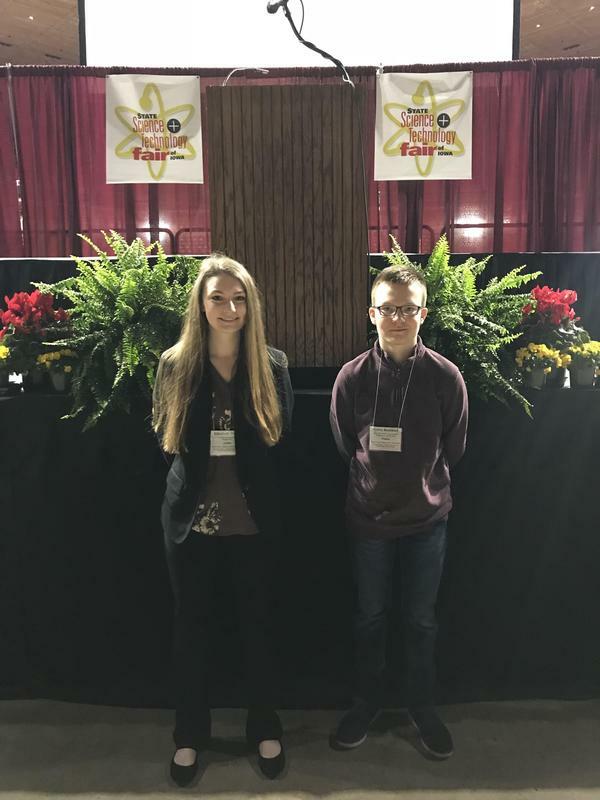 MHS students Corey Burkhart and Elizabeth Tranel, both sophomores, participated in the State Science Fair of Iowa on Thursday, March 27 at Hilton Coliseum in Ames. These students conducted research independently and shared their work with students, science professionals and judges in the all-day event. Congratulations, scientists!